The Velodrome is a blog that’s subject matter needs no introduction. From covering local events in Southern California, to track racing (present day and past), Kieron Menzies presents track racing in a clear light. 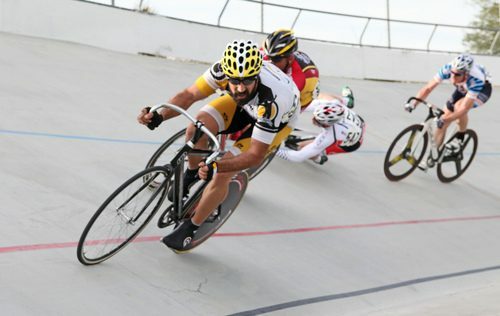 Take this recent entry on Encino Velodrome‘s “Gone in 250 Meters” event as an example. Spread the word and help aid Zack Zimkover’s speedy recovery! Be sure to bookmark it or add it to your RSS reader. Keep up the good work Kieron!